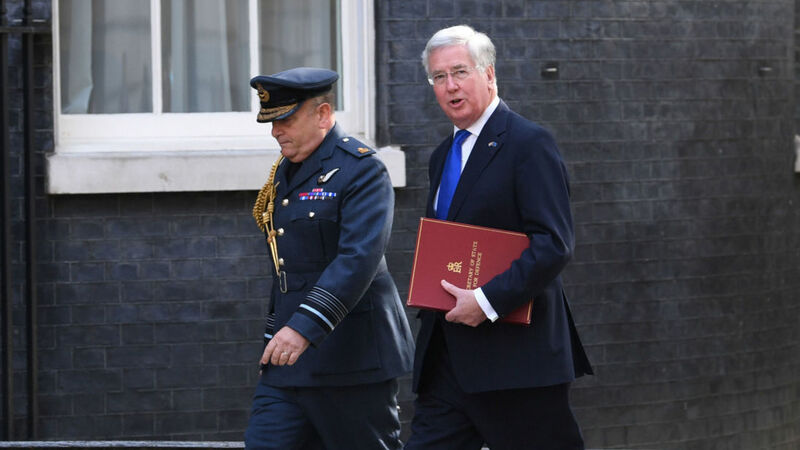 North Korea's nuclear weapons programme must be stopped before its missiles can strike the UK , the Defence Secretary has warned. Sir Michael Fallon argued war with the rogue state must be avoided "at all costs" and underlined the need to reach a diplomatic solution, amid heightened tensions. The dangers of a "miscalculation" which could provoke a military action from North Korea were "extremely great", Sir Michael told the BBC's Andrew Marr. His comments were made as new pictures showed Kim Jong Un attending an event in honour of the country's nuclear scientists and technicians. The celebrations followed an announcement by the nation's state media claiming the regime had detonated a hydrogen bomb with "perfect success".